Just a few months after joining ECHO as the leader of the Latin America and Caribbean Team, Cecilia Gonzalez, traveled to Nicaragua, Honduras, Guatemala and Cuba, seeking ways to deepen current partnerships and expand new opportunities to serve the region. “Our goal is to connect to people where they are serving and help them help others,” explains Cecilia. In Nicaragua, ECHO staff and a partner organization planned future trainings in seed saving and seed banking to resource rural communities. During a visit to the agricultural ministries of The United Methodist Church of Cuba, pastors and church leaders shared how they are using their land and food production to bless the lives of widows and orphans. They asked for ECHO’s help in providing workshops about livestock management, citing pig production and biogas as helpful training topics for their region. “Indigenous ladies wearing their breathtaking traditional attire accompanied by young children started to trickle in, greeting us in Kaqchikel with an amiable Xseqër (good morning). Once everyone was seated, Magda, our facilitator, welcomed the group and began to explain the oversized poster on the wall: it was a calendar and we came to learn from the local women about the seasons relating to climate and agriculture. After the initial reluctance wore off, the group warmed up to the activity, approaching the calendar with symbols of rain, sun, hail, and images of local fruits and vegetables to indicate their season by sticking each one within its corresponding month. During Kelly’s ECHO field experience in Guatemala she helped a partner organization design a training program that will equip Mayan families with the skills needed to plant home gardens and improve their children’s nutrition. Through this program, rural families will have lasting solutions to reduce malnutrition and improve their lives! 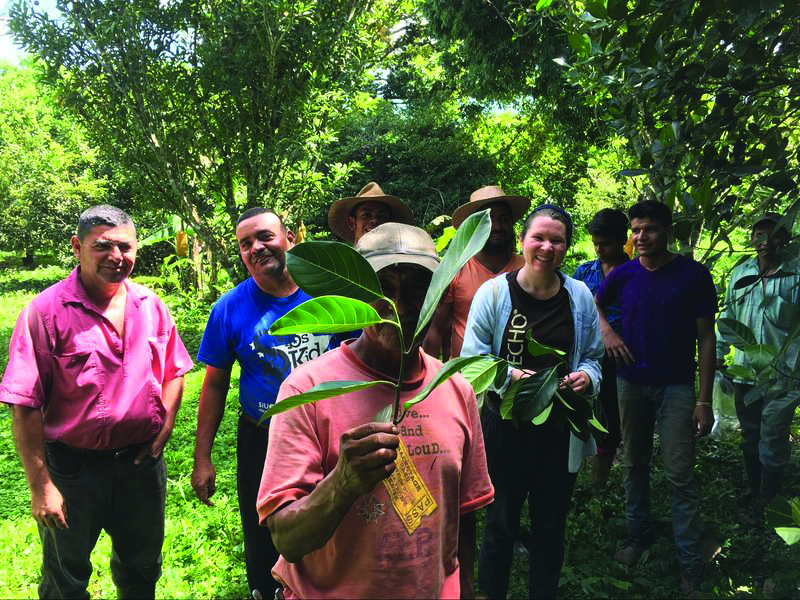 The Latin America/Caribbean Impact Team (LAC Team), in partnership with Frutas del Mundo, organized a grafting exchange in Izabal, Guatemala. Grafting can improve a plant’s resistance to disease and increase yields. “With grafting in particular, hands-on and in-person sharing and exchange was invaluable,” says Lydia Hofland, the Propagation Manager at ECHO-FL. She traveled with the LAC Team to share her experience in grafting fruit trees. She shared that participants were eager to learn from each other, and then adapt techniques to fit the environmental and resource contexts of where they live. Lydia observed, “The networking among those who hold the knowledge of a place and whose hands are skilled from experience is deep and impactful.” And it is exactly this knowledge and skill that is at the heart of ECHO’s work to equip missionaries and development workers serving throughout Latin America and the Caribbean.